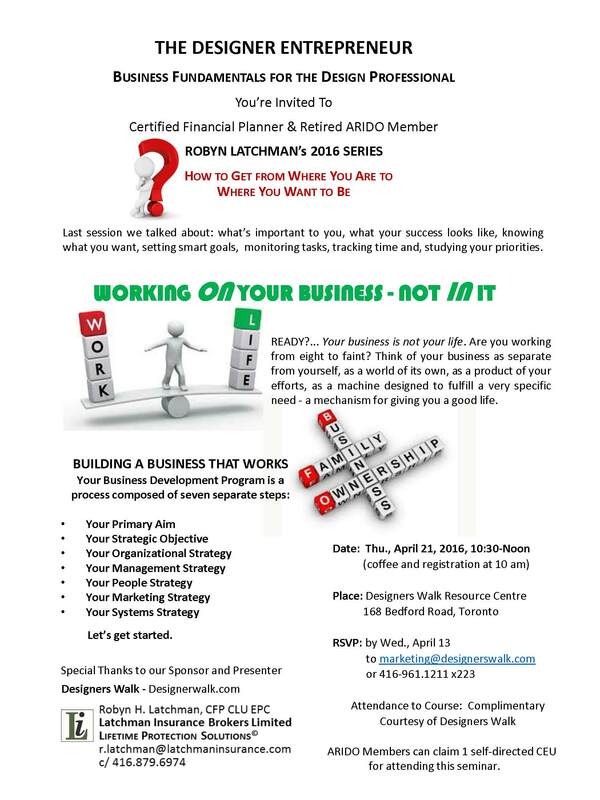 Business Fundamentals for the Design Professional with Certified Financial Planner & Retired ARIDO Member Robyn Latchman. April Seminar: See invitation for details. NOTE: ARIDO Members can claim 1 self-directed CEU for attending this seminar.